A scary moment a 29-year-old spear-fisherman was bitten on the head by a shark was captured on video and has now been shared online. 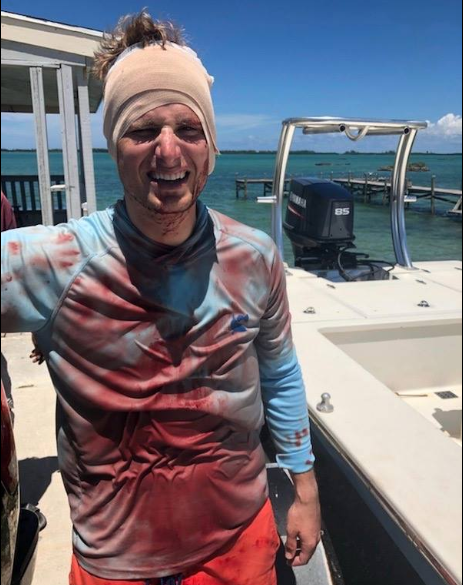 It was revealed that the man, Will Krause, 29, was spearfishing in the Bahamas on August 20, when a shark swam up and bit his head. The incident was captured by fellow “spear-fisherman” Zach Shipps on his GoPro. 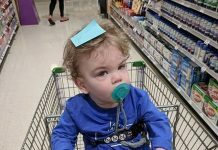 Will Krause, of Greenville, recently took to Facebook to share the video after he was fortunate to come out alive. 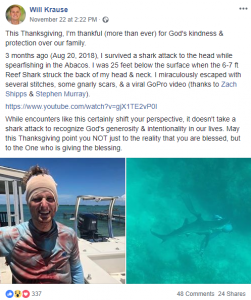 3 months ago (Aug 20, 2018), I survived a shark attack to the head while spearfishing in the Abacos. 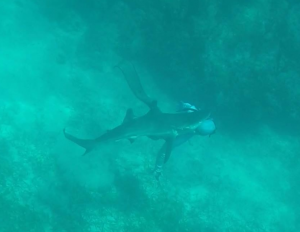 I was 25 feet below the surface when the 6-7 ft Reef Shark struck the back of my head & neck. I miraculously escaped with several stitches, some gnarly scars, & a viral GoPro video. The video shows the shark swim up to Krause and bite him on the back of the head before quickly swimming away. Krause, in pain, swims the surface in the video clutching his head and his fellow divers helped him to the boat.